My daughter and I went to the Indianapolis Rubber Stamp Show this last Saturday and had a great time. I found some great new places to shop here in Indy… on-line and in person. First of my new favorites is an awesome on-line store called Retro Cafe Art. 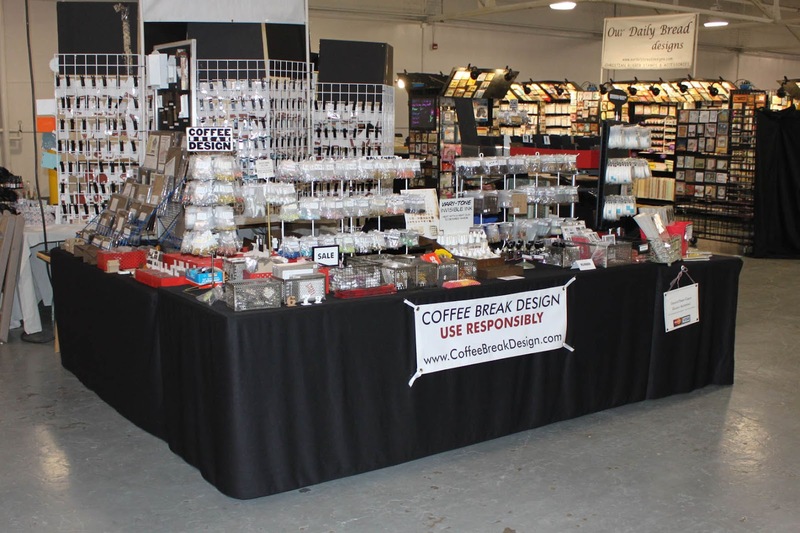 They carry all kinds of good stuff for all avenues of art… rubber stamper, mixed media/collage, jewelry, etc, etc, etc! You must check them out. Another one of my favorites was Too Much Fun Rubber Stamps. They have “interactive and dimensional designs that are fun and serve a purpose”. That was quoted from their website and it is so true. They are not really new to me. I have purchased from them many times before. But I had to share them with you. I love their images. The images below is are 2 of the ones I purchased. Doesn’t it look just like my Cookie? I just had to have them. The purse is separate from the dog stamp. Oh, so darling! You have to check out their site. There is so much to choose from… pull-up pockets, folding shirts, dimensional boxes. Last, but not least was INDY UP-CYCLE. This store is new to me. They are located at 620M Rangeline Road, Studio 1 in Carmel, Indiana. They sell art and craft supplies at Pay-As-You-Wish Pricing. That means you pick out what you want and go to the cash register and pay what you want. How often can you go into a store and do that? NEVER! All items in the store has either been donated or rescued. You’d be surprised at how many people throw out their crafting supplies when they “get tired” of them. Now you can donate them to Indy Up-Cycle and while you’re there pick up something new for yourself. I can’t wait to visit this store. I also want to take several of their workshops. They seem interesting and very affordable. I hope to make it there this month. I’ll let you know what I find. If you have already been there, post a comment to let me know what you like best! This entry was posted in Events and Shows and tagged art, collage, heirloom productions, Indiana, Indianapolis, Indy Up-Cycle, mixed media, Paper, retro cafe art, too much fun rubber stamps, yorkie. Bookmark the permalink.